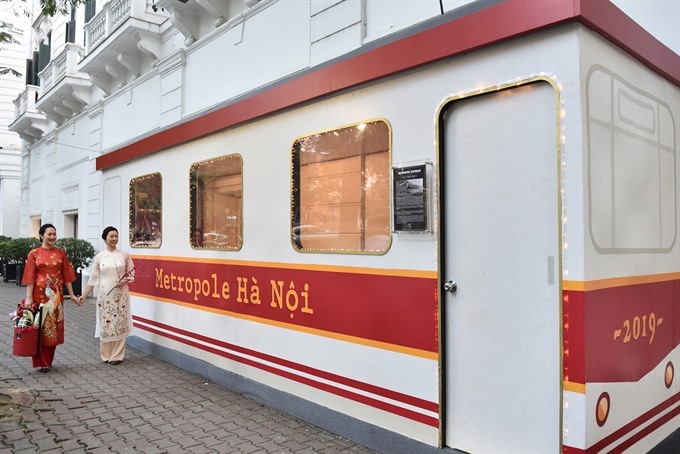 HA NOI — A model of trams that used to run through Ha Noi has been specially constructed at Sofitel Legend Metropole Hanoi to welcome the Lunar New Year. Alongside the tram, Viet Nam’s most famous hotel also captures the spirit of old Ha Noi with a bustling Tet market featuring dozens of stalls selling traditional holiday foods, designer clothing and local handicrafts. The free entry bazaar will be open to the public from 11am to 8pm from January 26 to 31. 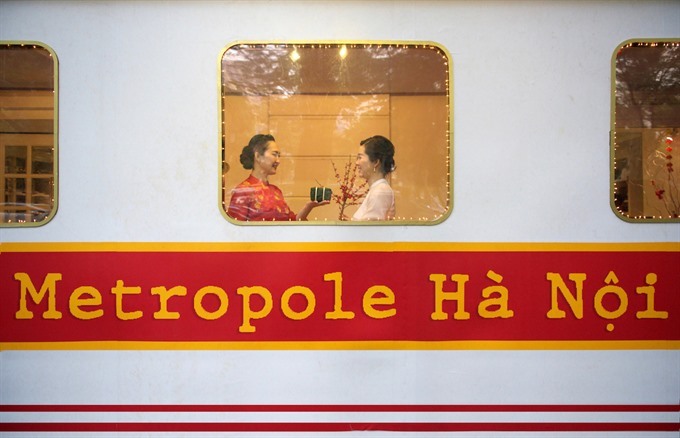 The first stop on this year’s Tet market journey at the Sofitel Legend Metropole Hanoi is the “jingle tram", located outside L’Epicerie du Metropole, and modelled after one of Ha Noi’s iconic bygone trams from the early 19th century. 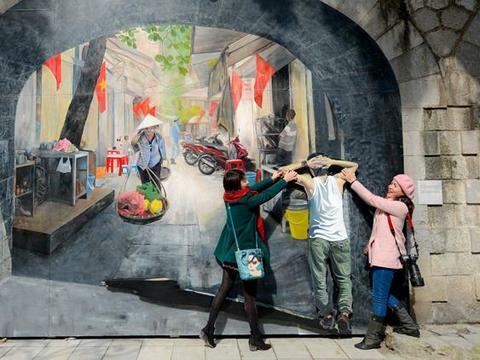 For the first time, visitors can stroll through the wings of the hotel, each of which will be decorated as a different tram stop representing old Ha Noi, including “Ha Noi Old Quarter”, “Dong Xuan Market” and “Long Bien Bridge”. Vendors taking part in this year’s bazaar including Valenciani, Le Thanh Hoa, SHE, Bonpoint, Liti Florist, Nature Queen, Viet Culture, Vivy Handicraft, Three Tree Jewellry, Huong Jewellry, C-Brewmaster, Fargreen, Orfarm, Truong Hao Food, Dai Nam Thai Y Vien and Da Loc. 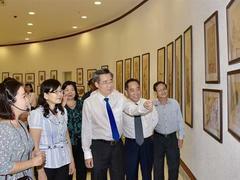 In addition, a wide range of Tet activities will be held over the weekend. Visitors can join a banh chung (square sticky cake) workshop with craftsman Nguyen Duc Toan from Thanh Oai District. The workshop will take place from 11.15am to 11.30am on Saturday. On the same day, a Tet flower arrangement workshop with Liti florist will take place from 11.30am to 1pm. On Sunday, from 1pm to 4pm, a workshop themed on Tet painting with renowned artist Van Duong Thanh will be held.